We are manufacturer and exporter of industrial chemical processing equipment and chemical processing machine which are used in diverse industries such as paint & chemicals, Our range is known for high levels of performance and reliability. We offer an assortment of precision-engineered chemical processing equipment and machines that are recognized amongst our clients for their superior quality, accuracy, long performance and finish. These machinery are widely used in diverse industries like, chemicals, paints, inks and other fluids or paste materials. 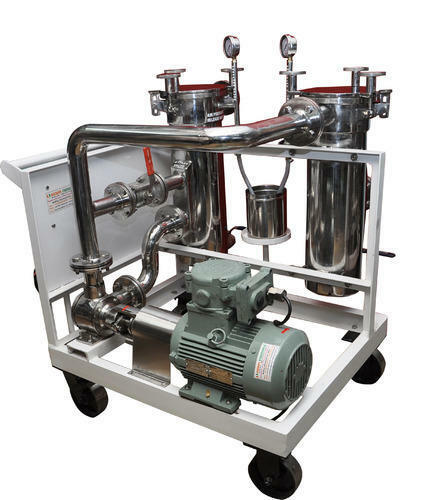 The range offered by us includes attrition mills, filter machine, industrial filter machine, chemical filter machine, tilt mixer, gear pumps, high speed stirrer, barrel trolley, paint mixing vessel and moving wheels.